Grasset Associés Glasses has been an optical manufacturer for many generations. Created in 1895, the company’s expertise serves the design and the development of various glasses and sunglasses brands. Each year, the company launches more than 1000 models to its 5000 optical store clients, in France and in more than 35 countries. For the purpose of optimizing flows in this digital context, Grasset Associés Glasses started its digital transition by providing its sales force with the Moovapps Aquarelle CRM solution. Its goal is to manage to adjust to the flow of orders and data as well as information exchange which keeps gaining importance in the eye of its clients, becoming a key component of its activity. Moovapps Aquarelle empowers sales representatives in taking orders, reporting client information and processing information, from the field. Moovapps Aquarelle enhanced sales teams’ performance, as they became more effective thanks to a permanent access to clients’ data, paired with information processing. 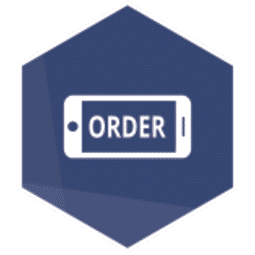 The solution helps save time in taking orders, provides a better visibility to sales representatives and enables clients’ feedbacks gathering. Orders are also interfaced with the ERP system at Grasset Associés Glasses, thus streamlining the whole process.